Your Labour councillors Imogen Walker and Alex Bigham attended the launch today of a new initiative to help people into work in Stockwell. 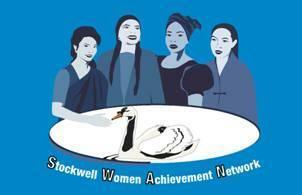 The project, which is being supported by the Lambeth Communtiy Fund and the Stockwell Partnership will be based at the SWAN (Stockwell Women Achievement Network) which is part of the Somali community centre on Stockwell Road. The scheme is open to people from all backgrounds though and will provide language support and EFL lessons for those who speak Somali, Portuguese, Polish and a whole range of other languages. It will provide one to one help for people to become more job ready, promoting self development and a stronger sense of well being. Around 100 people should benefit from the project which will last for an initial twelve months. A new progressive coalition? Really?